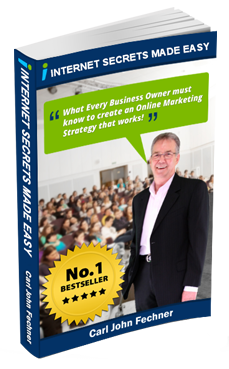 Hi, I’m Carl Fechner from Internet Secrets Made Easy and today what I want to talk about is how to set up Google AdWords account. The purpose of this is I actually want to get access to Google’s Keyword Planner Tool. This day and age Google has changed the rules where you actually got to set up an AdWords account before you can get access to it. The reason why we want to get access to the Google Keyword Planner Tool is we want to find out what keywords people are looking for in Google. It’s a great tool once you understand it. I’m teaching for another time on how to use the Google Keyword Planner Tool, but today it is how to set up the account to get access to that. So let’s look at these. So the first thing is that what you’ve got to do is type into Google’s Keyword, into their browser, Google Keyword Tool free and then what pops up, it is there. This is what we’re actually looking for is the Keyword Planner. This is what we want, but we’ve got to go through a bit few hoops to get to it. So you got to go and create an account for Google AdWords. So I’ve already got mine. I set one up. I’ve got another Gmail account while I set one up for my business. Internet Secrets Made Easy is a new one and I screenshotted it so to make it easy. As you see, I’m walking through the mistakes that you will make as well. So hopefully this video will make it a bit easier and eliminate some of the mistakes and you’ll see what I mean as we walk through it. So what happens is once you’ve signed in, it gets to Google AdWords Express and starts off on these steps. It’s going to walk you through about your business, your ad, the billing of course and review. So it wants to head you off into Google AdWords Express and I’m going to talk about that a little bit more how it happens because I haven’t seen this before, so I’m like you, I’m thinking, we’ll I’ll just follow along and find out what it is. But the one that we actually want to do is switch to AdWords, but it’s easy, you’ll see what happens how Google has set this up with AdWords Express, how difficult it is to get away from this if you’re a newbie or even if you’re like me and then you do it, the way they’ve worded it makes it very difficult. You really want to stay with AdWords Express, but that doesn’t look very good and you’ll see it. Really, you don’t have very good control over how you choose your ads. Anyway, what we want to do is we want to talk about the locations in here as well. So the first thing is here is they’re asking your ad, create an ad to reach out to your potential customers. I’m going to walk through these and have a look. So here it is target by city, region or country. So when you do that, for me my business covers these areas, Victoria, New South Wales and Australian Capital Territory. So when I type those in, where do you want your ad to be, you can see it’s listed. So whatever your business is or whatever your area is, you can choose it by location or you can choose it by target your business by distance from your business if you want to have it that way. That’s fine if you’ve got a business that is just a local business. You can choose to go that way, but there’s a disadvantage with this which I’ll show you in the next slide, is that what happens is the maximum distance that you can actually do it from your business if you go that way is 65 kilometers. And it takes you from 25 to 65. So you can set this accordingly. You got to make the decision where your business is geographically. Now even though we’re not going to use the AdWords campaign, I think it’s fairly important that you choose these components wisely because it will affect other things that you’re doing if you’re going to use Google Local or anything else that’s Google related. I think it’s pretty important that you actually do choose your location wisely and not just skim through some of these parts. So of course I want to choose Victoria and New South Wales and Australian Capital Territory, this area here so I’m going back to that. And then the next thing there’s a dropdown box there asking you what sort of business. So in the case when I started typing in “digital marketing agency,” it’s starting to pick up the different things that are there and the one that I want is actually marketing consultant you’ll see on the next page. Once you’ve chosen which one, obviously you click save. And here it is. So I’ve chosen marketing consultant and then it says, “show your ad to people looking for,” and what happens is Google indicates that this is marketing consultants, has worked it out, these are the related words. So I’ve ticked the box “business marketing, local marketing, online marketing” and then of course click save. Now this will come up differently for every business. So if you’re a planner or whatever your business is, motel or whatever it is, it will have related words that are in there, so you just type those in and put those in, tick it off as what it makes sense for your business. Okay so still it comes to this choosing this now, still recommending, we’re based on this. So I was looking at this and still not sure what to do, so I still stayed with the AdWords campaign. So anyway, so here we go, it’s got the areas, so we click the next button, then as you can see, the locations and the products and services. So what happens is it’s now asking you to write your ad. And in writing your ad they got this sample page in here and they got things like strong verbs like Purchase. But the oxymoron of that is — really, the funny part about this is they’re asking you to write an ad, but you don’t know what search terms people are typing into Google to find out. So I don’t know, to me it’s — anyway, I got my own thoughts on where it is there, but you can’t do it without that on the search term, not effectively anyway. Okay so it defaults to, so I checked when I clicked on that switch to AdWords,” it’s really asking me, are you really sure that it is? This is easy. It’s making this one look hard. So Google is really wanting you to default to this. Okay, but as I said you want to choose AdWords. So I think in the case of this I still wasn’t sure, but I thought I will continue with AdWords Express and see what takes place. Oh that’s right, when I clicked on “Why do you want to move to AdWords,” this are the questions that it’s asking. These were the things that I wanted. I wanted to set my own bidding. I expected to sign up for AdWords, not AdWords Express and this is the big one, I want more control over the keywords. So I think for me — let me have a look at the next slide — I still don’t think I finished. We’ll go to the next slide and have a look on this. Okay now I stayed with the Express because I wanted to see what it would actually do. So it’s asking me to put the headline in. You can see down partway through adding the text over there and you can see how it’s typing it in over here. It’s finished the ad for me, see how your ad will appear. Okay so once you’ve done that, you would click save as you are going down that path. And then of course it’s asking you how much you want to spend, so I just filled out some of that just to get that done. And there again, the AdWords Express is telling me how much, so save and continue and then of course it wants to know the billing. So in the case of this, you’ve got to go through and fill out all your details and your credit card details. For privacy reasons I obviously didn’t put in my credit card details visually, but you need to fill that component out or you just can’t get to the next stage. That’s the simple part of it. Okay so then accepting, there’s the finish and create your ad. Welcome to AdWords Express and it’s now starting to say the campaigns and everything else. The tool that I want is in here and I’m not quite sure in my campaigns whether I actually got this. I’m not sure if I can get access to these yet or not, but let me just go to the next page. Okay so as I said, it defaults to this and we want this. Whatever way — that’s right, and here we go. And the reason why I want AdWords and I want more control, this is what I get, by actually avoiding the AdWords Express and choosing the AdWords, we now get this stage. And what I’ve done is I’ve removed their ads. The ads were sitting there. I don’t want them to start those campaigns. Just completely remove them because it will get you to set them up and commit you to spending money. That’s not what we want to do today. All that we want to do is get to tool, but you have to do — there is no other simple way around this. You have to get to this stage. So just remove your ads, kill the ads off and then go to this next page. Okay, this is what happens. None of your ads are running your campaign. So there’s a big red writing there to say that I’m doing, but also big red writing means fantastic, they’re not going to start billing me for ads I didn’t want to do anyway. So on the Keyword Planner, where would you like to start? So the first thing you got to do is in this panel here, search for new keywords using a phrase, website or category. So in the case of this, once you click into that, enter one or more of the following, I’m not entering the keywords. I want to do some other things first. I want to choose where my location is. In the case of this, all locations, it’s global, so we don’t want that. You actually left-click on that little pencil there and it starts to change it and you’ll see what I’ve got. I’ve typed in here Bairnsdale, Victoria Australia, it’s my hometown. And I want to show you this because you’ll need to check this on your own because it’s a quirky little thing sometimes in regional areas with Google on their AdWords. So you can see in here, I’ve put an arrow for nearby. We want to click on, we want to save these and click on this or click on this and I will show you the next and you’ll see why. So when I click on the “see what’s nearby,” there’s effectively nothing nearby. The only one that comes to is it jumps from Bairnsdale here right to Victoria. There’s nothing in between. I can’t get any of the other regional areas. Now that’s fine, but there’s a but in this. And the first but is this map that Google has mapped out for Bairnsdale, probably this little bit in this area has population, the rest of this is just rural land. And then Wy Yung and it doesn’t show east Bairnsdale or any of these little suburbs around Bairnsdale. Bairnsdale incidentally is the commercial capital of Eastern Victoria or East Gippsland. And so Bairnsdale proper has a population in this area here of some 12 and a half thousand people. So this map is not even going to give me an accurate picture, it’s only going to give me well, probably one quarter at best of Bairnsdale itself. And then Bairnsdale as I said is 12 and a half thousand people, but it covers a population of some 40,000 people in East Gippsland. Let me just go on this next map. So in East Gippsland, we’re picking up Lakes, Paynesville, whole area that’s all out there. Some of this is just mountains, but the bottom line is this whole region out here as I said has about 35,000 to 40,000 people that Bairnsdale services. So really it’s not that effective, so you got to play around with it a little bit and that’s a teaching for another time, but you got to play around with it a little bit to check and see what it is. So let me go to the next page. Okay so the next thing is I’ve got Bairnsdale as I’ve said. The next this is down here I’ve got a choice between Google or Google and search partners. I want you to click onto Google and search partners because what that means is that the search partners is people like YouTube. And YouTube is I think the third largest search engine in the world or the second largest search engine in the world, so you certainly want to make sure that that’s coming up in the search terms. I’ve left this alone as “show broadly related ideas,” but you can either have that or click on this and change that to closely related. But I don’t want to get too complicated in this. I just want to teach you the basics of this, the fundamentals of how to set up your account, to get you going and being able to search for the terms that people are looking for for your product. Okay so the next thing is I’ve now got this, Bairnsdale, Google search partners. What I want to start doing now is typing in the search terms. So you just type it in. I’ve just done it in capitals. It doesn’t matter eitherway. So type in your term that you think your customers are typing in. So I type in online marketing, put a comma, a space and then type in your next word, et cetera, et cetera. So you can type in as many as you want in there to give yourself an idea what you think your customers are typing. Once you’ve done that, you click, “Get ideas.” And when you click on that, Google goes through the search and produces a page that looks like this. Now, I just dropped this in from our own region, so I’d already changed that to New South Wales, Canberra and Victoria here. Obviously my language is English. Google and search partners. Show broadly related ideas and it says “Show average monthly searches for the last 12 months,” and that’s really what you want. What happens when you get to that page is that you’ll see this bar come up. Ignore this one. That’s not where we need to be. What we’re doing is we want these two keyword ideas and ad group ideas. Google defaults to ad group ideas, but the one you want initially is that. And so you’re matching the keyword ideas to marketing strategy. 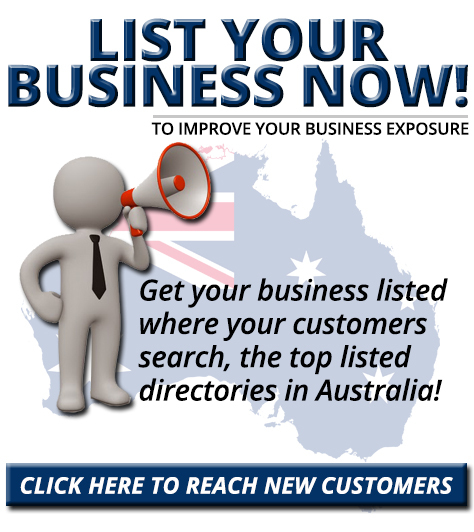 So you can see marketing strategy there and marketing strategy in that region there, New South Wales, Canberra and Victoria on average per month has 2900 searches per month for marketing strategy. Now I can scroll down the page. There’s a whole lot of stuff that’s here. And the teaching on this is actually for another session, but this is where I want it. I want you to get to set up this account so you can effectively start to begin the search. Okay. So thanks very much for your time and it’s pretty obvious there what we do. There’s more training and digital marketing strategy information available to you on our website. Go to our website for that. But also the next video that I’m going to do is explain in-depth how to use that Google Keyword Tool.